Key words: Direct-current arc furnaces, metal quality, charge material, "ladle-furnace" unit, magnetohydrodynamic stirring. There has been developed a wear-resistant steel of the Х6Ф6Мtype to replace coated steels (casehardenable, micro-casehardenable etc.). The developed steel has a 2 times higher level of wear resistance than casehardenable and micro-casehardenable steels (BKC-7, BKC-5). The steel has been developed for aircraft industry assemblies. Key words: physical-and-chemical phase analysis, structural steel, gears, aircraft machinery, wear resistance. On the basis of conducted researches efficient technology for rhenium-ruthenium alloy production with 100% of non conditioned scrap usage was developed. The technology allows using up to 100% of all types of scrap for rhenium-ruthenium alloy production, saving expensive and deficient alloying metals and reducing cost of alloys without decreasing quality. Key words: high-temperature alloy, waste, foam-ceramic filter, impurities. The article describes a process of melting cast rod (charge) billets of an intermetallide alloy basedon a Ni3Al compound, results of investigating the chemical composition, casting process and quality control of single-crystal (SC) billets with a crystallographic orientation<111>. Effect of deviation from the crystallographic orientation (CGO) <111> and heat treatment (HT) of billets on the microstructure of the BKHA alloy has been studied. Key words: segregation inhomogeneity, single-crystal billets, crystallographic orientation, microstructure, intermetallide compound Ni3Al. Development of new Al-Li alloys and optimization of conditions of their artificial ageing allow to substantially increase strength, reliability and corrosion resistance of Al-Cu-Li system alloys alloyed with Zn and Mg. A substantial increase in fracture toughness of the high-strength corrosion-resistant alloy B-1461 of that system, additionally alloyed with Zn and Mg, was achieved by a stepped ageing mode providing an insignificant decrease in strength properties. The work investigates the effect of artificial ageing modes for alloy B-1461 sheets on the resistance to layer and intercrystalline corrosion, and corrosion cracking. Key words: b-1461 alloy, corrosion resistance, stepped ageing, phase composition, corrosion fracture mechanisms. The article is dedicated to the development of technology for making standard specimens on a VIP-NK unit for monocrystal (MC) casting, meeting the basic requirement: absence of porosities and nonsolidness at end surfaces. 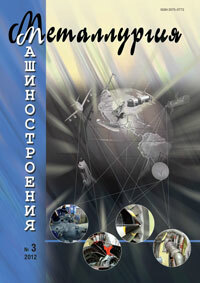 Key words: Directional crystallization unit, hightemperature alloys, computer control system. Based on the results of differential scanning calorimetry (DSC) of a homogenized ingot, the authors have investigated dependence of mechanical and corrosion properties(MKK, RSK) of 1913 alloy sheets on hardening parameters (heating temperature and cooling rate). There was established a decrease in mechanical properties of sheets after air hardening in artificially aged condition. The microstructure of sheets after heating for hardening at various temperatures was investigated. Key words: aluminium alloy, hardening, solid solution, corrosion resistance. Kuzmina N.A., Yezubchenko S.N. Methods of Obtaining Direct Pole Figures from Single Crystals of High-Temperature Alloys The article proposes methods of filming specimens of single crystals of high-temperature alloys by means of X-ray difractometry to obtain direct pole figures on a standard goniometric attachment GP-13. Use of standard equipment and latest software allows to obtain reliable data on the structure of single crystals while avoiding the complex procedure of filming on special equipment. Key words: high-temperature alloys, X-ray difractometry, texture, pole figures.